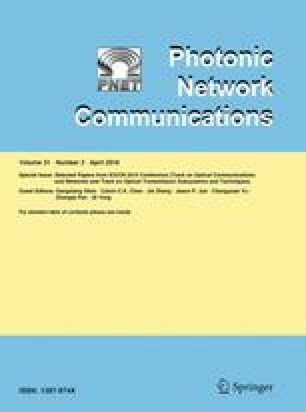 As networks grow in size, large-scale failures caused by disasters may lead to huge data loss, especially in an optical network employing wavelength-division multiplexing (WDM). Providing 100 % protection against disasters would require massive and economically unsustainable bandwidth overprovisioning, as disasters are difficult to predict, statistically rare, and may create large-scale failures. Backup reprovisioning schemes are proposed to remedy this problem, but in case of a large-scale disaster, even the flexibility provided by backup reprovisioning may not be enough, given the sudden reduction in available network resource, i.e., resource crunch. To mitigate the adverse effects of resource crunch, an effective resource reallocation is possible by exploiting service heterogeneity, specifically degraded-service tolerance, which makes it possible to provide some level of service, e.g., reduced capacity, to connections that can tolerate degraded service, versus no service at all. Software-Defined Networking (SDN) is a promising approach to perform such dynamic changes (redistribution of network resources) as it simplifies network management via centralized control logic. By exploiting these new opportunities, we propose a Backup Reprovisioning with Partial Protection (BRPP) scheme supporting dedicated-path protection, where backup resources are reserved but not provisioned (as in shared-path protection), such that the amount of bandwidth reserved for backups as well as their routings are subject to dynamic changes, given the network state, to increase utilization. The performance of the proposed scheme is evaluated by means of SDN emulation using Mininet environment and OpenDaylight as the controller. This work has been supported by the Defense Threat Reduction Agency (DTRA) Grant No. HDTRA1-14-1-0047. Chen Ma was a visiting Ph.D. student at UC Davis when this work was performed.